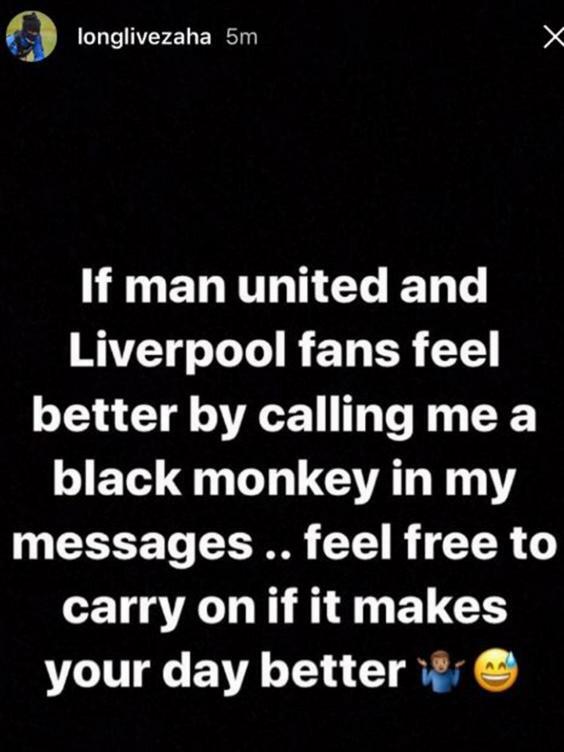 Wilfried Zaha has accused Manchester United and Liverpool fans of ‘calling him a black monkey’ on Instagram. The Crystal Palace winger, who spent a single unsuccessful season at Old Trafford between 2013 and 2014, claims he has been subjected to racial slurs and spoke out publicly with a message to hs followers on Saturday. “If Man United and Liverpool fans feel better by calling me a black monkey in my messages .. feel free to carry on if it makes your day better,” he wrote. Zaha didn’t go into any more detail and did not choose to identify any of the accused. The post came after the 24-year-old played for Palace against West Brom in the Premier League Asia Trophy, a game in which manager Frank de Boer claimed the Baggies were targeting Zaha for rough treatment and accused them of deliberately trying to injure his player. “If you want to sell the Premier League here and the beauty of the game, the beauty of the game is not those kind of challenges,” the Dutchman said afterwards “Of course, when it’s a fair challenge then for me it’s not a problem, but for example for Wilf Zaha they were really looking for him, to injure him, and we can’t accept that. No manager can accept that. De Boer was particularly upset about a challenge on the Ivory Coast international by Craig Dawson early in the game. 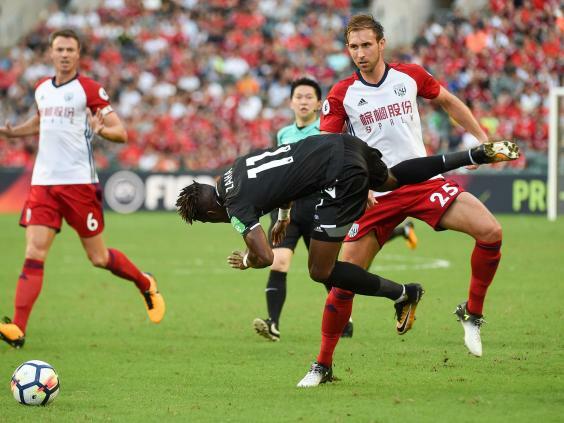 The West Brom centre half escaped a booking from Hong Kong referee Ng Chiu Kok during an encounter which Pulis labelled “very competitive”. “The first challenge I think it was a yellow card and then he knows ‘I can’t do another one’,” said De Boer. Palace won the game with goals from Luka Milivojevic and Bakary Sako.